Oh man! I LOVED THIS BOOK SO MUCH!!! Sounds like book two might be even better than book one. This is an amazing swoon! Oh my goddddd! 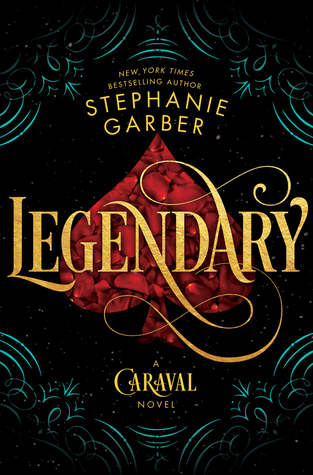 Now I can't wait to read Legendary. That was an amazing excerpt! Still waiting for my copy to be dispatched, though. Oh I hate the waiting on books! Glad to hear you're loving this one too. 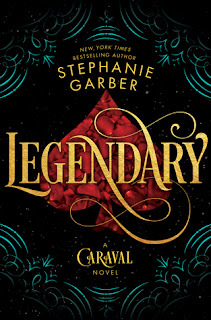 I just reviewed it today and talked about how much I loved it even though I had such a mixed reaction to Caraval. Eeee. I love this swoon :D I'm more curious now about these books, to be honest, haha. I do own both.. just unsure if I will like them or not. Hmm.